As I get older, I spend more time reflecting on my life. I reflect on the right choices that I have made and the regrets that I could have avoided. This reflection takes me to the innocence and ignorance of my youth and the things that I could have done differently knowing what I know now. How I wish someone at that time had guided me to the ideas that would have helped me to have fewer regrets. So I try to reach out and send a reminder to whoever that wants to hear about the actions and thoughts that would reduce the percentage of our regrets in the later years of their lives. Here are a few. Not having A Realistic Idea about One’s Economic Needs. Man should know his own self, and understand those things which lead to loftiness or to abasement, to shame or to honor, to affluence or to poverty. –Baha’u’llah, Baha’i Scriptures, p. 145. After answering that fundamental question asking the second big question which is what do we want? What we want applies on not just our spiritual needs and aspirations. It means to decide how much finances we need to live a fulfilling life. This is very important because we see millions of people are accumulating wealth that is a thousand times more than their needs. They spend all their energies to get more while the spiritual chances passed them by due to their occupation by gathering material wealth. How sad is this tragedy when we know we do not live on this earth forever and our days are numbered. Failure to Use the Writings to Make a Sound Financial Plan. The world today is overwhelmed with the pressure of many problems and is in need of guidance, people are looking everywhere to find the solutions to the problems that have baffled them and have made the experts confused and helpless too. The economic field is one of the worst afflicted with this problem because of removing the moral and spiritual values out of the economic system. Abdu’l-Baha clearly explains where to look for the solutions. How regrettable is for those who have the healing remedy to the economic problems not taking advantage of this amazing grace and plan such a financial goal that not only support their physical existence but smooth the path of the spiritual growth. Not Trying To Fulfill Baha’u’llah’s Wish of Eradication of Poverty. Baha’u’llah’s message of the oneness of mankind implies the prosperity of all mankind. That was His wish and His Command and He entrusted to taking care of the poor and needy to us. “O ye rich ones on earth! -Bahá’u’lláh: The Hidden Words, Persian Nos. 49, 51 and 54. 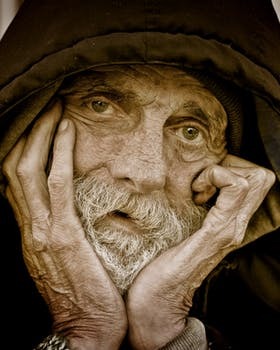 Reducing the sufferings of the poor whose welfare has been entrusted to us may seem a small task, and this task should have been easily achieved and yet every day more and more people are becoming poor and destitute. Why? Because there are fewer people ready to leave their self-interests and think of others. Some think about the poor but do nothing about it. The end result is that the problem of poverty is threatening the foundation of our so-called civilization but it has greater implications in society. If we do not try to take care of the trust that has been given by God to us, how can we have peace of mind? Regrets for not helping the poor originates from the realization that this could have been our way to salvation. The real benefit of helping the poor is the satisfaction that one gets which is priceless. The feeling of reaching to others as a member of one’s family changes our outlook and that leads to a better view of the world and our role in it. This gives the mind and soul a sense of peace. If everyone in the world is yearning for peace of mind, then helping the poor is like a shortcut to it. Though to the rich has been trusted the poor but one does not have to be a rich person to help; everyone has to make a contribution no matter how small. Not Following the Guidelines for Economic Life. Every life is measured by the number of achievements made during a lifelong of pursuing our goals. Since our next journey we are not going to need our money because the material world dies the moment we die, we have to find other ways of measuring our progress, so the only choice left is the spiritual qualities that we have been able to gain through our hard work, meditation, service, and sacrifice. How sad it is to reach the end of our physical journey and realize that we have not accumulated enough for the next journey because we were distracted by the material world and forgot to put away something for our spiritual journey. Baha’i Teachings tell us and guide us to find the goal or purpose of our lives. They constantly remind us to stay on course and not to be distracted by temptations of the transient world. In the end, we may realize that we have missed the purpose of life that was given to us for this life and now we are going empty-handed. It is a feeling of realization of the mistakes with no chance of correcting them. This moment can be avoided and remedied while we are alive and able to do whatever our heart and soul tells us to avoid the regrets.